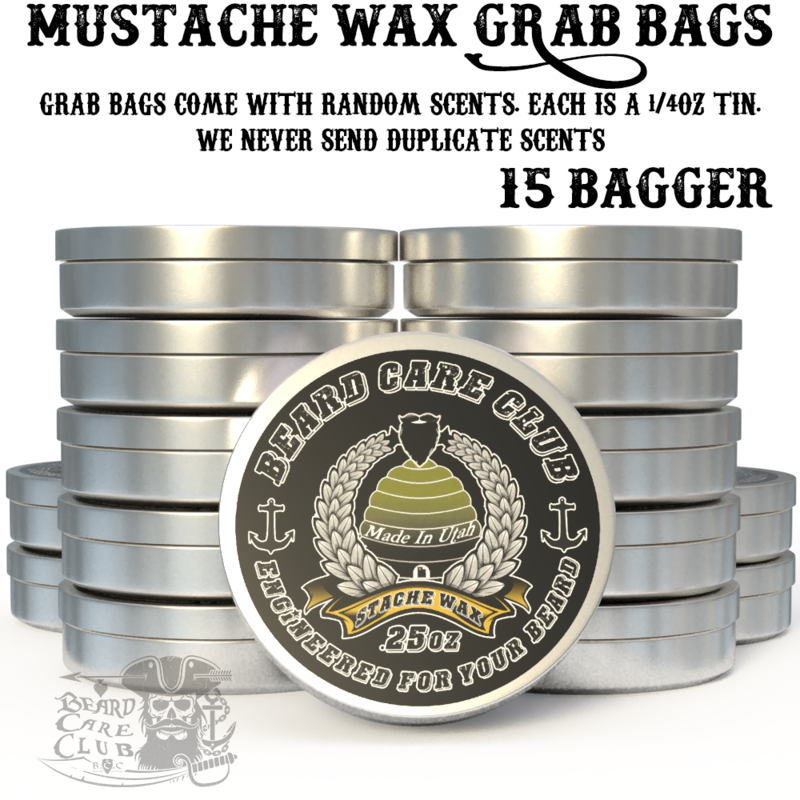 Having a hard time narrowing down what mustache waxes you want to try? 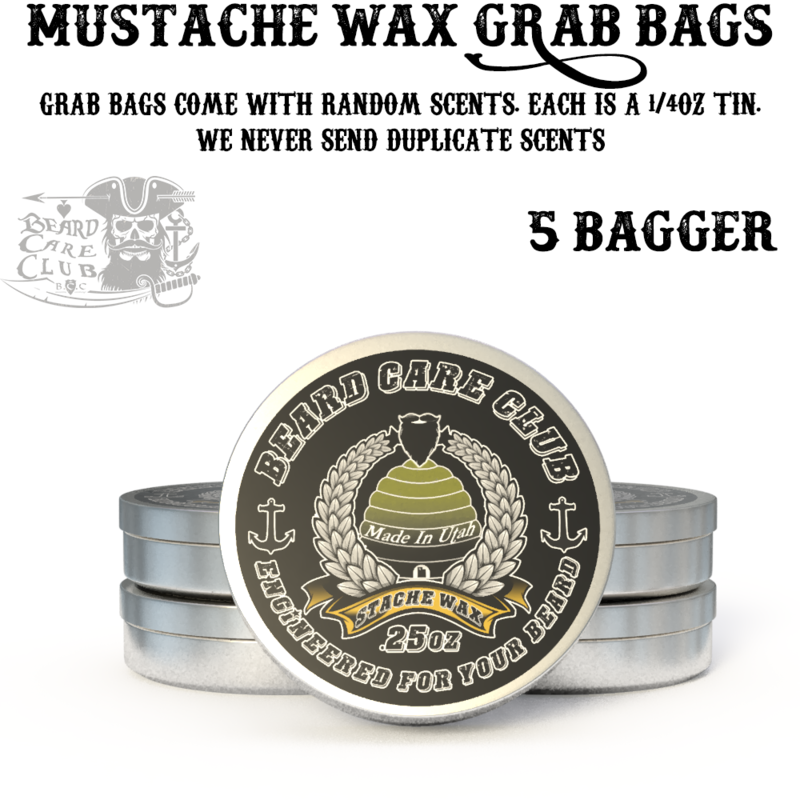 These Mustache Wax Grab Bags were made for you! 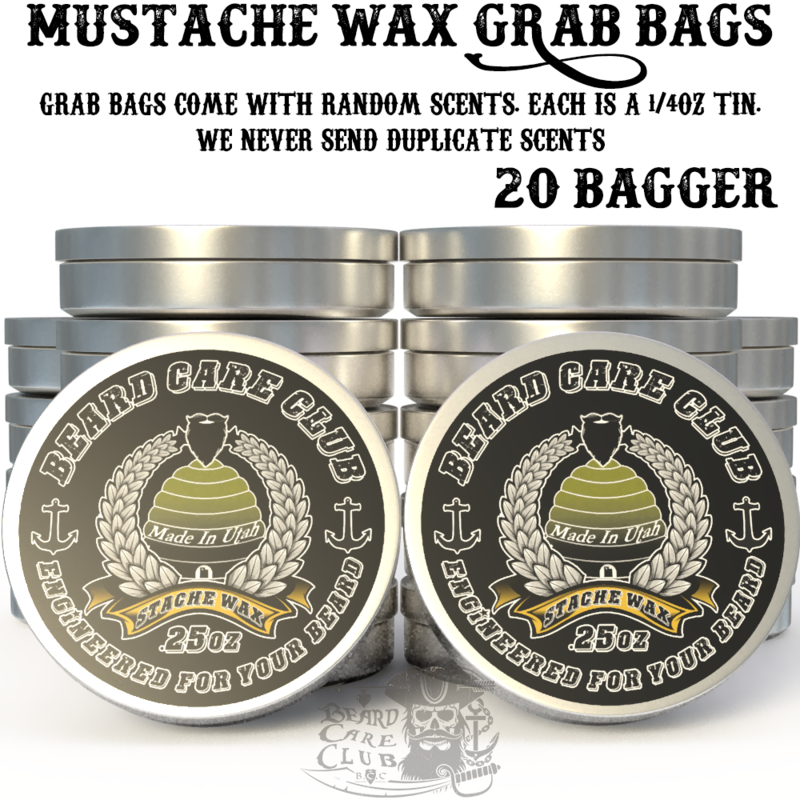 These bags contain random unique scents of mustache wax that are already listed in our shop. You will not be sent 2 of the same scent. 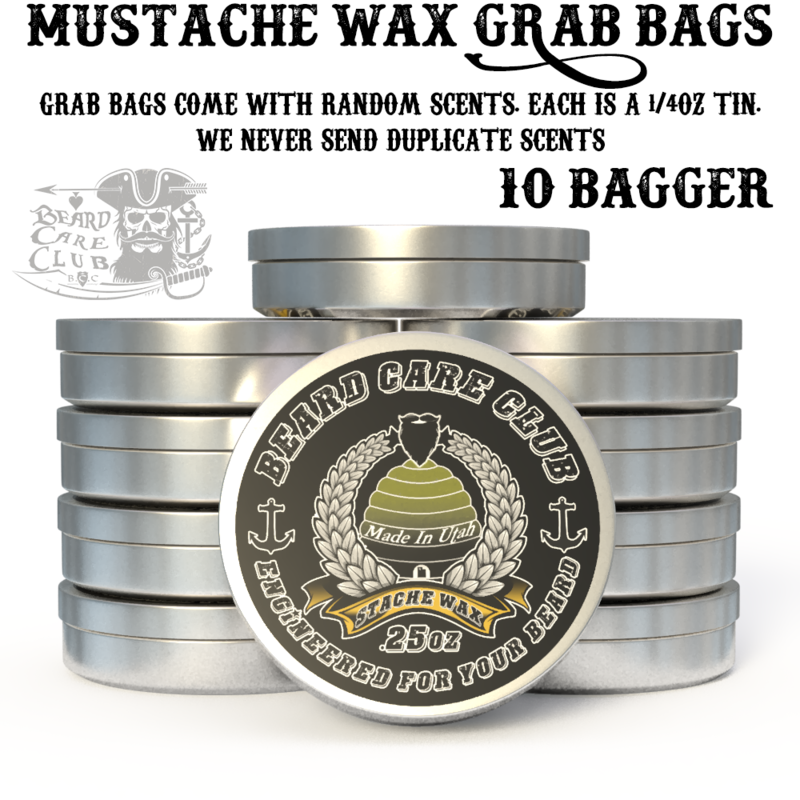 Pick between a 5 tin, 10 tin, 15 tin, or 20 tin grab bag! Each tin is .25 ounces. If you would like specific scents, please email us directly at [email protected] . Please specify the scents you would like and please include your order number.